Real Madrid director of football Zinedine Zidane has expressed his belief that Gareth Bale is “not far off” playing at the same level as Cristiano Ronaldo and Lionel Messi. The Welshman has scored 17 goals in 27 Premier League appearances this term to lead Spurs' chase for a top-four finish - form which has seen him strongly linked with a summer move to the Spanish capital. And three-time Ballon d'Or winner Zidane has fuelled further speculation by choosing to enthuse about the winger despite being asked which player had impressed him most in this season's Champions League. “This year the player who has impressed me most is not actually playing in the Champions League," he told Sky Sports. 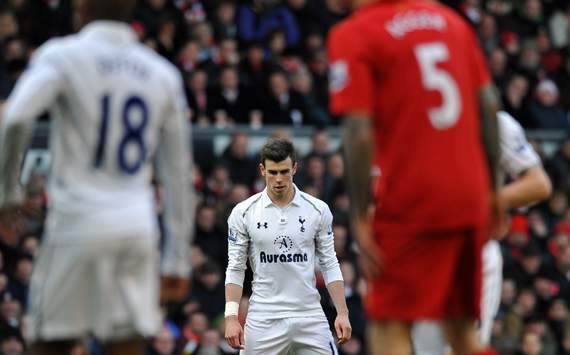 "He is playing in "the other cup" [Europa League], and that is [Gareth] Bale. "You can't compare him, he is unique, he makes things look easy, his pace is frightening. His acceleration is unbelievable because of his ability to go through the gears in very little space. "Plus, he is very good technically which is also important, we must not forget that he plays football well. "He’s really impressed me. I’ve seen him two or three times live, including recently at Lyon, which wasn’t necessarily his best game, but where every time he got the ball he can surprise you. "He’s perhaps not quite at the level of the other two [Ronaldo & Messi], but he’s different. So personally I don’t think he’s far off."